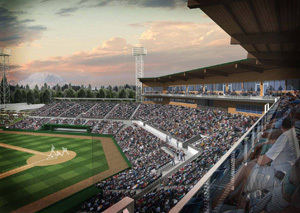 The Tacoma Rainiers are a minor league baseball team that play in the Pacific Coast League, and are the AAA affiliate of the Seattle Mariners. Since 1960, a team in Tacoma, Washington has been in the PCL, the longest current active streak of membership in the league. In the Fall of 2006, Schlegel Sports acquired the ownership rights to the Rainiers. In 2010, the Rainiers became Pacific Coast League Champions for the second time in the team's history. 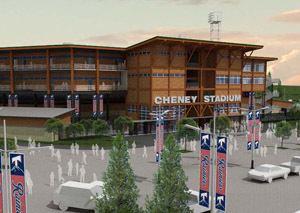 The Rainiers play their home games at Cheney Stadium, which hosted the baseball portion of the 1990 Goodwill Games. The Mariners' Safeco Field is about 30 miles to the north. Oakland Athletics power hitters José Canseco and Mark McGwire both played for the Tacoma Tigers on their way to baseball stardom. Alex Rodriguez also played for the team in their first year as the Rainiers in 1995, before becoming a superstar. 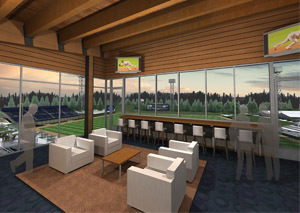 Cheney Stadium underwent a $30 million stadium remodel and was completed in time for the Rainiers' home opener in 2011. 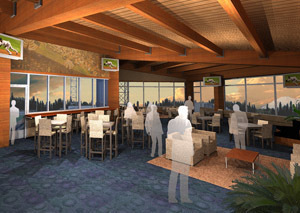 Upgrades include, among other amenities, new seating for 8,000 fans, 16 luxury suites, a kids’ play area, more restrooms and concession stands, and a new club level restaurant.